James, I hope you are well. I just placed a copywriting order. I am looking forward to working with you. Thank you for your order. We have sent over an email to get the ball rolling!. I dont seem to see the images in your WSO....is this a WF issue? I can see them just fine on my end buddy, but thanks for the heads up. 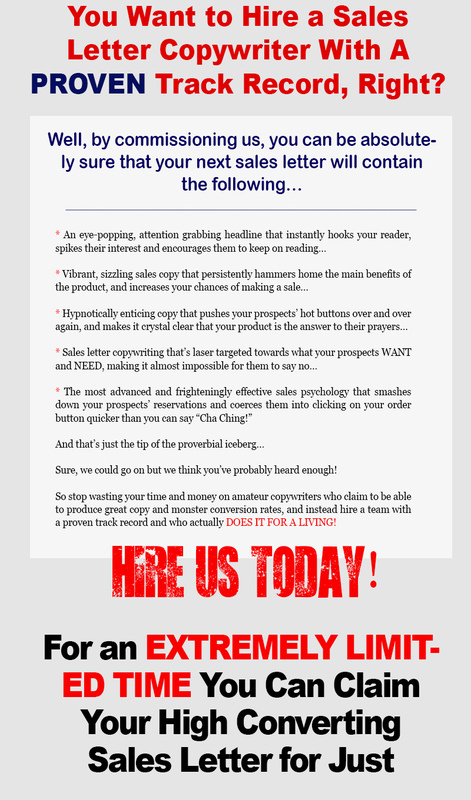 Do I need to already have the product so that you can write the sales letter? Or will it be an blind copy for an offer? 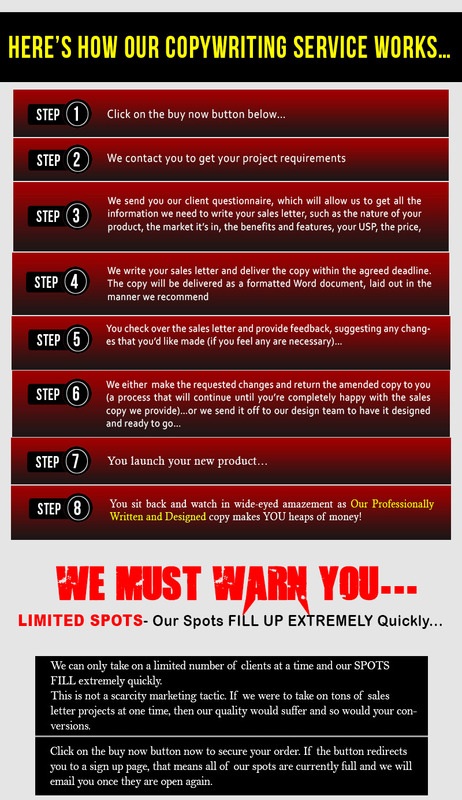 We can write your sales letter with or without your completed product as long as we have the key points about your it. Our brief questionnaire can help guide you. Hope that helps and look forward to working with you. Do you only work with WSO? 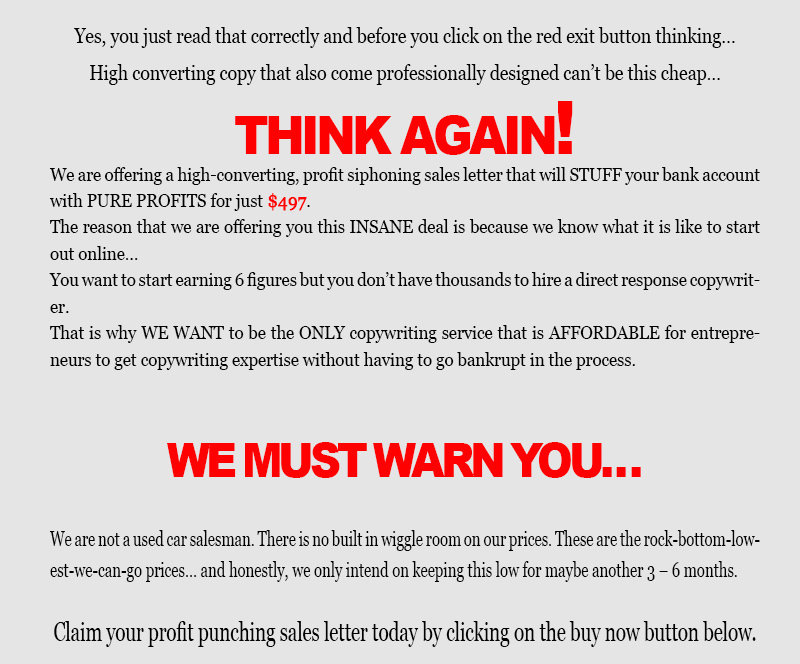 I can send you the outline of our landing page (still in the design phase) so i can know what you think. Yes, we work with stand-alone sales letters as well, please send me over your outline. I'll pm you my email address now. I would like to take you up on a review sales copy James. How do I proceed? I'd definitely be down for a review copy if there are still any left. Hey - is this offer still available? Opening it up right now for just a few slots. We will close fast again like last time so hurry. On top of the already deeply reduced price we have dropped it another discount which is shown at checkout. Can I purchase the review copy still? Hello do you offer other types of Copy writing services like FB ad , Google Adwords for maximum response .